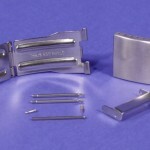 Watch band clasps come in many different styles and serve many different purposes. 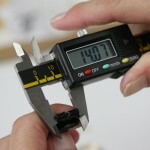 This category of watch band clasps are among the most common style of metal watch band clasp. These bands all have clasps the fold over onto themselves, making them large enough to slide over your hand and yet small enough to fit perfectly on your wrist. 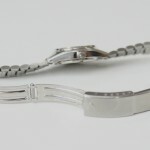 As you probably know, sometimes even the best made watch clasps can break will need to be replaced. 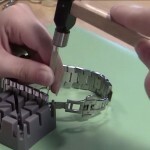 Below, you can learn about how to replace any of these various folding style clasps on your metal watch band. 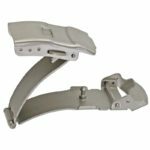 Once you know what type of folding style clasp you have, you can learn more about them and how to change them. 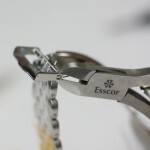 For plain Fold Over Style clasps, this article on How to Change a Fold Over Style Watch Band Clasp is the one you’ll want to refer to. 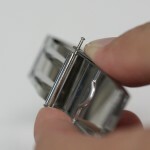 For Single Fold clasps, you’ll want to refer to this article to learn How to Change Single Fold Watch Band Clasps. And for the versatile and changeable Tri-Fold style clasps, depending on the attachments that your watch clasp has or that you prefer from buttons to security catches, you can choose between the Standard Style Tri-Fold clasp, the Tri-Fold Clasp with a security catch, the Tri-Fold Clasp with buttons and a security catch, or the Tri-Fold Clasp with push buttons.